Is Senior Home Care Right for Your Aging Parent? Home care services are designed to help seniors maintain comfortable lives once they’re no longer able to complete everyday tasks or live safely on their own. As time passes, seniors can face an increasing range of challenges, and each senior has a very unique set of needs. Due to this fact, Rhode Island home care agencies like Home Care Assistance work hard to offer a flexible array of services so that every client can get the type and level of support that he or she requires. Following are several factors that can help you decide whether home care is right for your senior family member. There are several important things that seniors must be able to do for themselves in order to safely and successfully age in place. These include preparing and cooking healthy foods and maintaining a clean living environment. As getting around becomes more difficult, many seniors begin to let regular household chores fall by the wayside. They also become more likely to rely on packaged and heavily refined foods, rather than preparing nutritious meals on their own. In these instances, in-home caregivers can assist with housework and prepare a number of fresh and nutrient-dense meals. Home care companies provide transportation assistance for seniors who can no longer drive on their own. These services help seniors maintain balanced social lives, make it to important doctor and dental appointments, and get their grocery shopping and other errands done. If you have a loved one who has opted to age in place but is no longer driving, you can rely on home care professionals to ensure that he or she has access to safe and reliable transportation. Companionship care is another service that home care companies can provide. Home care workers can ensure seniors stay socially active with regular outings for lunch, to the movies, or for recreational shopping. Efforts to prevent senior isolation and depression can have a positive impact on a person’s mental and physical health. Regular safety monitoring is essential for seniors who require around-the-clock care or seniors who tend to remain indoors during weather extremes. Caregivers in Rhode Island can make sure seniors are eating regularly, have access to functional HVAC systems, and ensure all other basic needs are being met. 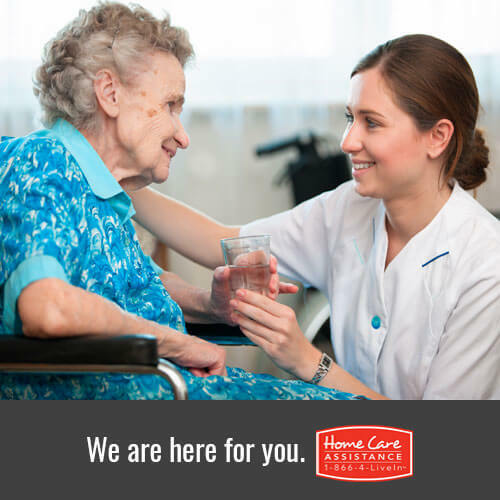 If you’re considering home care for your aging parent or relative, reach out to Home Care Assistance. In addition to reliable hourly and 24-hour care, we offer comprehensive Parkinson’s, dementia, and Alzheimer’s care Rhode Island families can count on. All of our caregivers are expertly trained to assist with a wide range of activities, we never require long-term contracts, and our dedicated Care Managers are available 24 hours a day, 7 days a week. To learn more, call our office at (401) 284-0979 and request a free in-home consultation.